The Slab-funded trip to Amsterdam took place in July 2013. It was similar to the Zurich expedition, in that your Slab correspondent found very little to write home about. 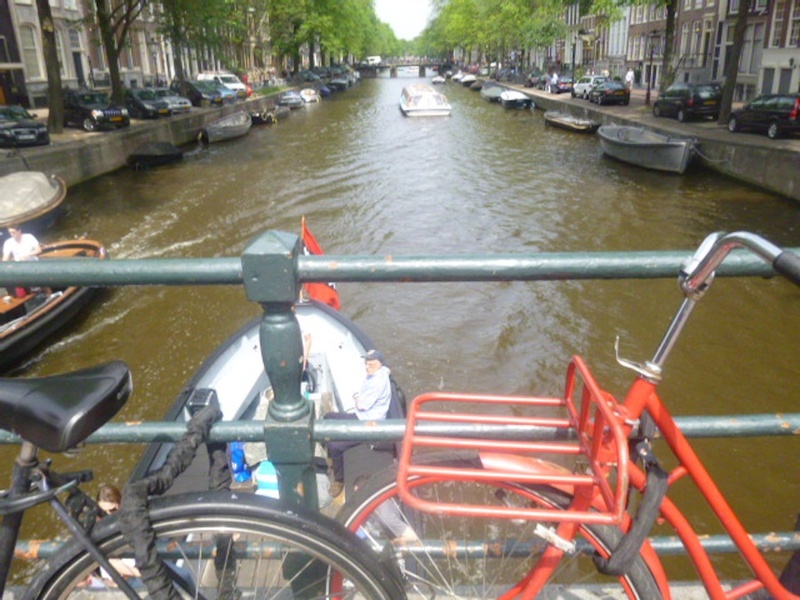 Central Amsterdam contains canals, bridges and bikes, and they are arranged exactly as you would expect to find them. The Dutch heritage industry is just like what you find in Germany, England, Ireland, Scotland, the United States and other places where the inhabitants are fundamentally alienated from the reality of the place that they live in. So the Dutch encounter Dutchness as it is fabricated for tourists, Dutch heritage becomes a theme-park, and traditional Dutch architecture is a repository of icons that can be exploited as a cultural resource. 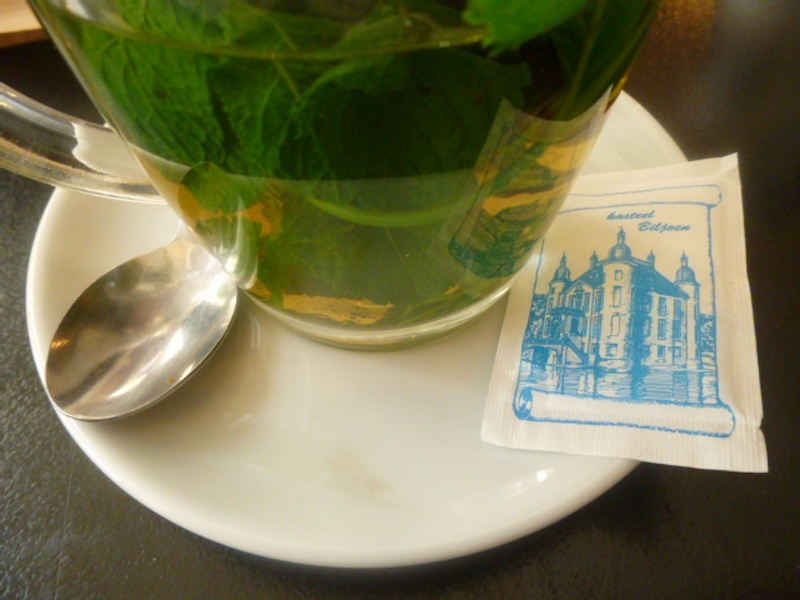 This self-promoting, vision-building, not-quite-nationalistic and ultimately evacuating process takes place on postage stamps, matchboxes, public transport signage and insignia, letterheads, coins, complimentary pens and pencils and … in the Netherlands, on sugar sachets. … and then finally something decent to put in the dossier. This is a municipal building of some description (hey, if you want research and facts, post us a cheque and we’ll look into it). 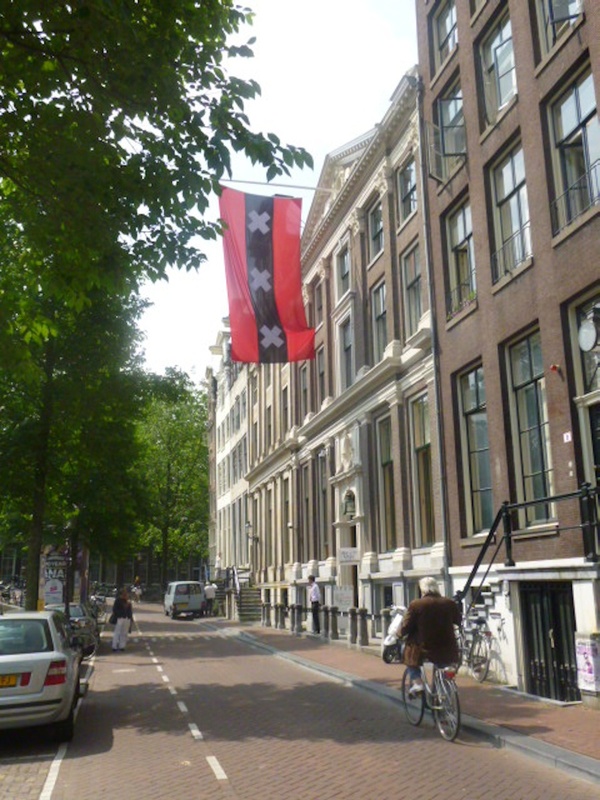 The flag is the Amsterdam city flag. 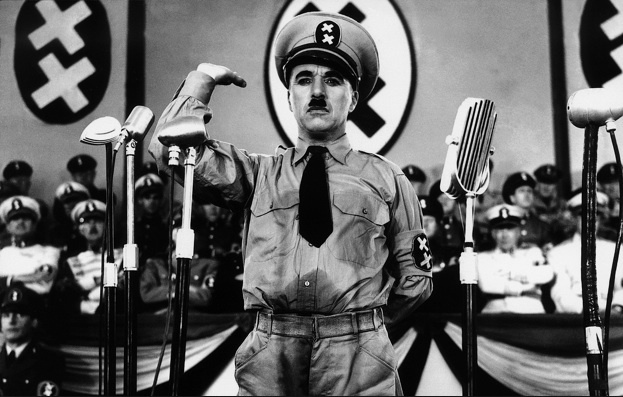 Surely your Slab correspondent cannot be the first to observe the similarity between this and the fascist emblems in Charlie Chaplin’s Hitler-spoof The Great Dictator? A man, a plan, a canal, Tomania? So Amsterdam is worth visiting after all. Who knew?